Fundraiser for Rebecca Grove by Ian Patton : The Octopus Literary Salon Needs You! The Octopus Literary Salon Needs You! The Octopus Literary Salon is a small business that was opened in April, 2015 by three friends. Rebecca Grove, Mike Linn, and Ian Patton (two former educators and a pediatrician) who shared a dream that many have--to create a space to gather and share ideas, be they musical, literary or otherwise, to learn something new, and to form an enduring community representative of Oakland. 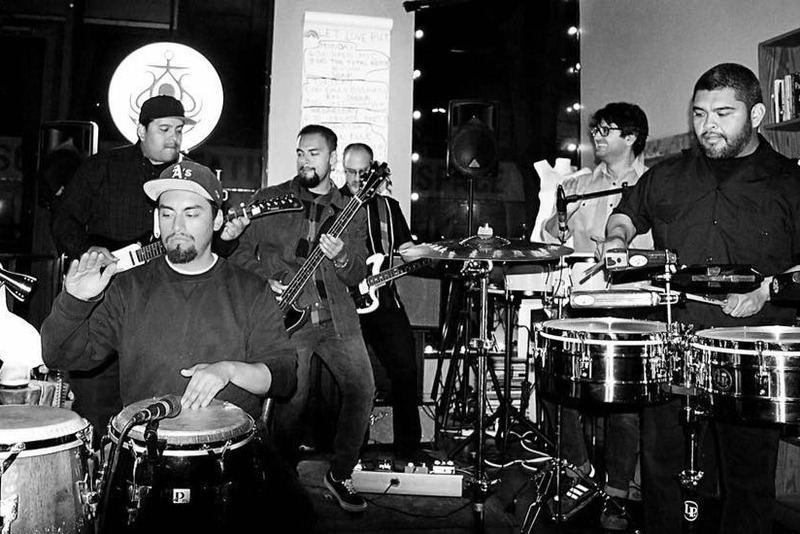 Our goal is to continue to provide a space for community and a home for the diverse array of artists in Oakland and the larger Bay Area. Our small space hosts live performances of all kinds, six nights per week. 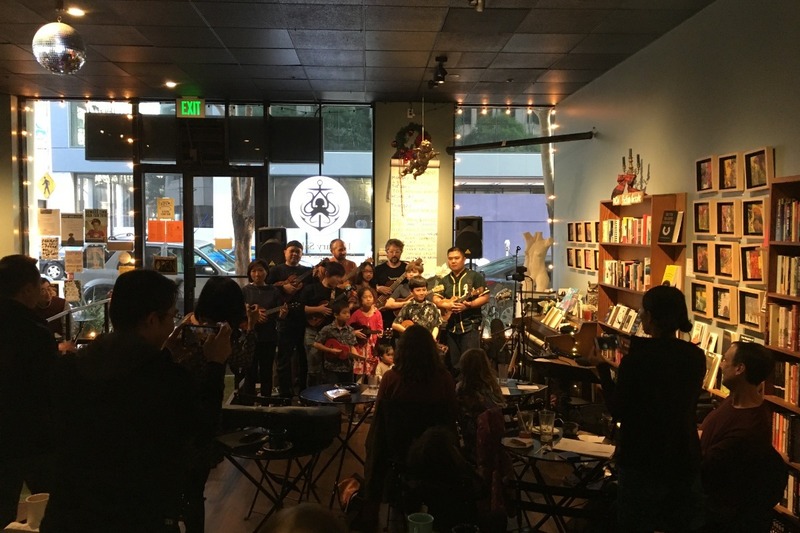 Events in a given week may include live jazz performances, African Book Club, Talk Story, all ages punk rock shows, poetry readings, fundraisers, and more. 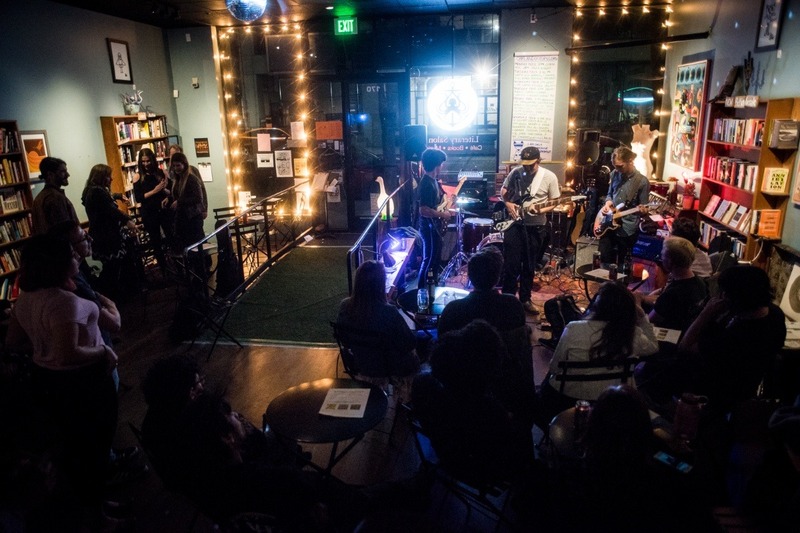 As warehouse and DIY venues become scarcer in Oakland, we have become a home for the artists being displaced, providing a venue for local bands, authors, artists, and fundraising events. Your contribution to this campaign ensures that we can continue to play that role in this city that we love. The reality of operating a small business in the rapidly changing landscape of Oakland is daunting. Rents, taxes, wages and interest rates are all on the rise and threaten to price out venues like ours, eliminating a piece of what gives the city of Oakland its character. Although we are not a non-profit organization, it is fair to say that we did not start this project to get rich. Initially, we scraped together just enough money for the loan to convert a former Quiznos on Webster and 22nd into The Octopus Literary Salon. For three years we have struggled and bootstrapped, moving steadily (but slowly) towards breaking even. As we move into our fourth year, we can see from our financial reports that if we can pay off our construction loan of $185,000, we will be able to continue to serve this community for years to come. That is what this campaign is all about. 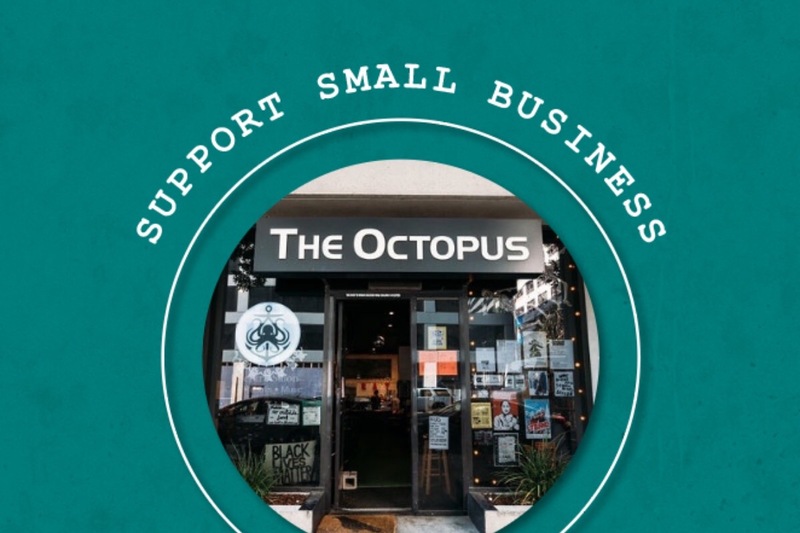 Your support of The Octopus has an exponential effect as it ripples outward and helps to support other small businesses in Oakland. As a local business we support vendors that are like us, independent and from the community. These vendors include farmers markets, Roast Co Coffee, STEEP Tea, Novel Beer Co, Ghost Town Brewing, Woods, and Lev's Kombucha, to name a few. Your contribution to this campaign goes beyond just supporting us and will have a real impact on the broader small business community in our city. The impact of your contribution goes further than that though. 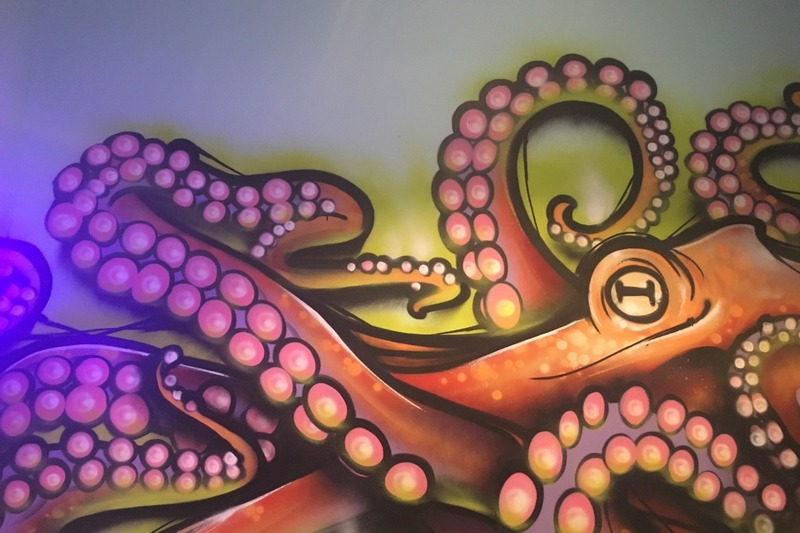 The Octopus has become a vital partner for art and arts education in Oakland. Several music teachers use the space, both for instruction and as a venue for recitals. We are all ages, all of the time, and this enables us to present programming from the widest possible range of performers, be it a children's dance performance, an all ages punk show, or our monthly Dirty Old Women erotica series. We've become an important piece of the community, and we want to play that role for many years to come. Instructors from Mills College, Laney, UCSF, UC Berkeley, and St. Mary's College use the Octopus to showcase their students' final work, providing memorable experiences for students and their families presenting their writing in a public space, often for the first time. Writers and writing groups meet here to hone their craft. We feature local artists on a monthly rotating basis, providing a gallery and resource for showcasing their work. Political action groups use us as a gathering space, including Solidarity Sundays, fundraisers for fire relief, Puerto Rican hurricane relief, the homeless, the Southern Poverty Law Center, and many more. We are so grateful to the performers who liven our calendar each month, and to series hosts such as Alexander McAllister (Monday Open Mic night ringleader), Paul Corman Roberts (an array of poetry series), Doug Sovern (THERE), Belinda Liu (Gratitude Blooming), and Stephen Ray Taylor (benefit punk rock shows for The Octopus), to highlight just a few. We are most proud that people from all backgrounds, genders, and tax brackets are comfortable enough at The Octopus to consider it a home away from home. Most importantly, our cafe welcomes and nurtures the beautiful human diversity of Oakland. This was our dream. 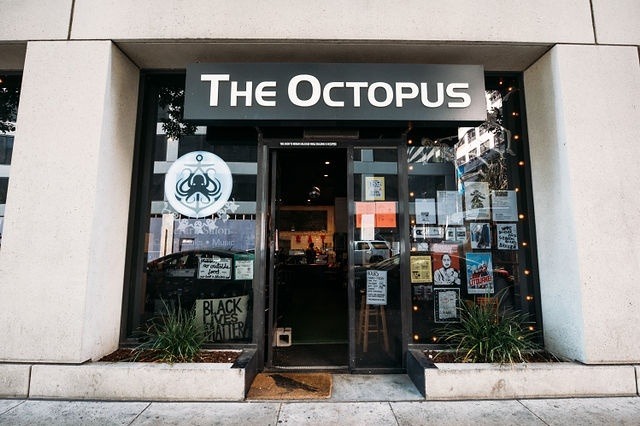 If you support this dream, please consider making a donation toward preserving it and ensuring that the Octopus remains a cornerstone of the artistic community in Oakland for years to come. Come celebrate the power of creative spaces for social progress with us. We'd love to see you here. Thank you, thank you, thank you for the wonderful support so far for The Octopus Literary Salon. We love you too! We want to stay in Oakland and are doing everything we can to make it work! We turn 4 on April 1, 2019 and have fun events planned so come on down! We are looking for restaurant/food partners! We will keep you posted on survival status. Thank you for your support! 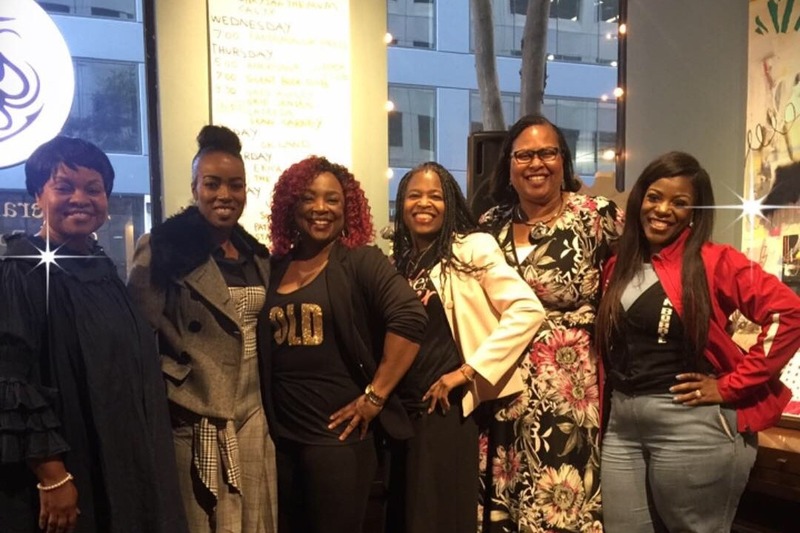 It means we can have more amazing women author book launches! We still need more help. Our campaign ends April 29! Please spread the word. We are also competing for a $50,000 FEDEX small business grant so please vote for us!